Helping a neighbor, lending a hand, giving advice. Each one of us thrives on loving kindness. Achiezer is an integral part of our community's chesed. From delivering hospital packages to eldercare. From crisis management to medical and insurance referrals. Achiezer is not just an organization... it's a mindset. 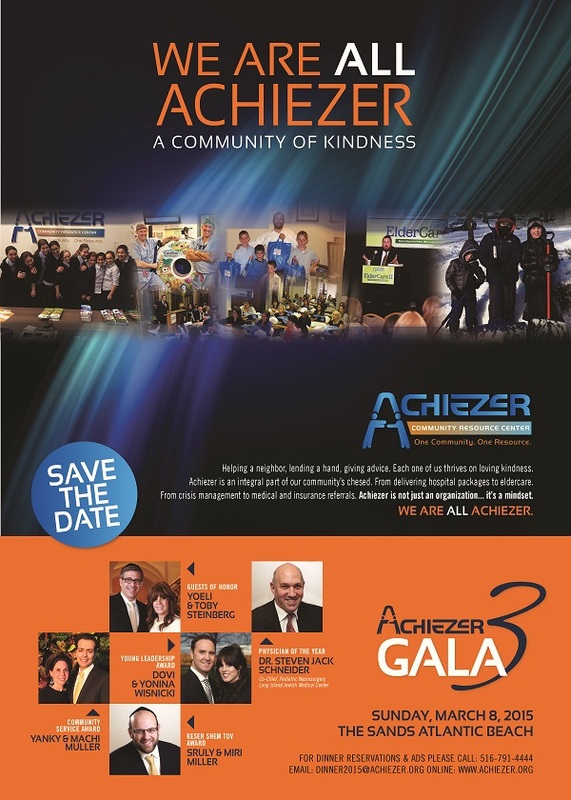 Join us at Achiezer's Gala 3, on March 8, 2015 at The Sands Atlantic Beach.